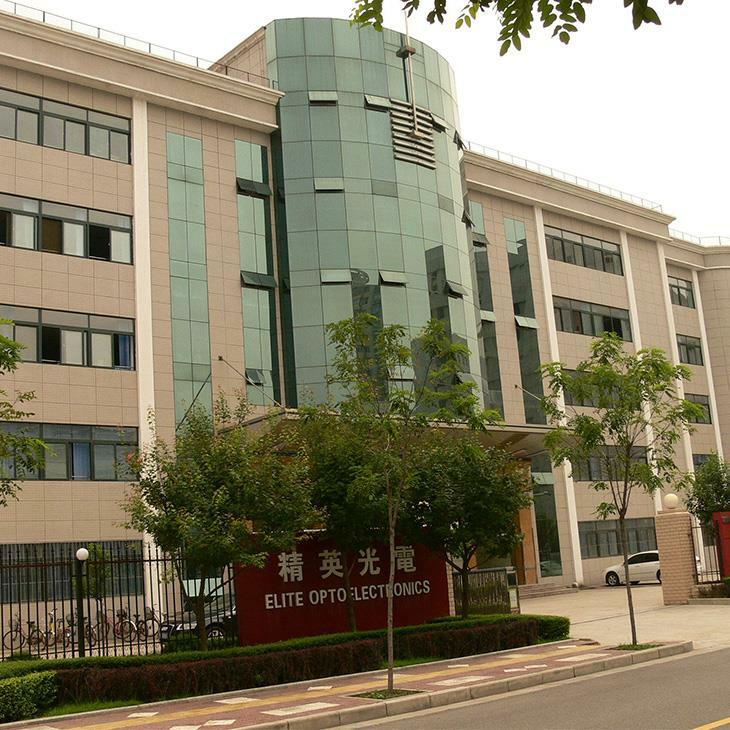 Founded in 2003, Elite Optoelectronics Co., Ltd. has become a professional manufacturer of Industrial laser diode modules, DPSS lasers and a professional provider of custom-designed laser solutions. Our industrial laser modules and DPSS lasers come in wavelengths ranging from 405nm to 980 nm with various power ranges, and all products are compliant with FDA, IEC and GB standards. Elite has successfully developed the Industrial Green Laser Module (GLM) which has a wide working temperature ranging from -10°C to 50°C with compact size of ￠8 x 28mm and ￠10 x 30mm, whose outstanding performance is over than any other unit in the market! Elite experienced R&D team continuously focus on helping our clients to solve their laser, optical, electrical or mechanical design problem, and it’s large-scaled production capacity enables us deliver products in bulk for some of the world’s major companies in the military, defense, medical, industrial and scientific industries. Elite passed ISO9001:2008, each step of production, from the requirement analysis, material procurement, manufacturer, test and experiment, interior QC to packing and delivery are completely implemented according to ISO international quality management systemcriteria. Share your ideas with us, Elite shall provide you the best solution! Today, Elite’s commitment to continual education and investing in its employees in long term makes him a great partner in join-design and manufacturing laser solutions!